Do you need a reliable truck that's a real workhorse? Do you want to tow a big fifth wheel camper or your large boat? How about just having a truck with great looks and the outstanding torque of a big diesel? Can you spell S-U-P-E-R- D-U-T-Y? Let the Sales Team at Grieco Ford in Raynham, MA put you in a 2017 Ford Super Duty with Ford's "Built Ford Tough", turbocharged 6.7L Powerstroke Diesel or their 6.2L 2 Valve Flex Fuel V8 Gas engine. How about a 2017 Aluminum F150 with an EcoBoostTM Engine! Metro knows TRUCKS! Give them a call at (508) 822-1000 or stop by. They're on Route 44 about half way between Route 24 and Route I-495. Their knowledgeable sales staff will get you into the vehicle that fits your needs and then their highly qualified Diesel and Gasoline Service Technicians will see that your truck keeps running at it's best. "Been there - done that... twice now! 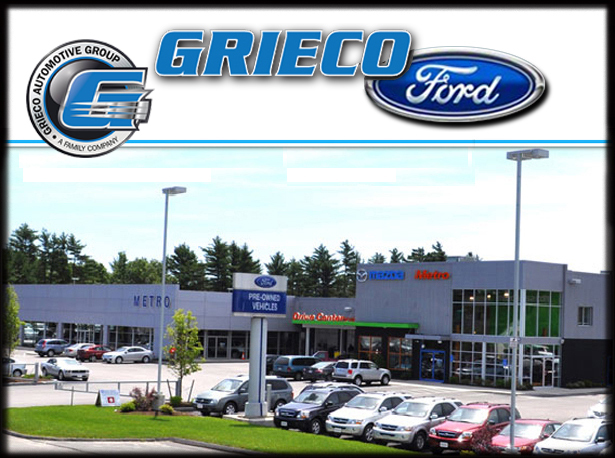 I know - you can't beat Team Grieco Ford!" Oh yeah, check out the "2013 Grieco Car, Truck & Bike Show" pictures on our "Truckin' News" page!